Millions of people suffer from allergies, feeling like their lives are a constant battle between their bodies and substances in the environment that trigger their symptoms. If you are one of them, you know how difficult it is to find good working remedies for your symptoms. But there is a solution. You can reduce or even end your allergies altogether by removing the pollutants that cause them from the air in your home. The word “allergy” is commonly used to refer to anything and everything in your surroundings that cause a response in your body. But there are different groups of substances that can cause the responses we call “allergies.” Understanding these differences is key to choosing the proper method of removal. The first group is allergens. These are the natural substances that are commonly recognized for causing allergies—pollen, dust mites, animal dander, and molds. They trigger a response that starts in the immune system. If you have an allergy to dust mites, for example, your immune system identifies dust mites as an invader (allergen) and responds by releasing substances that typically cause symptoms in the nose, throat, eyes, ears, skin or roof of the mouth. If you are allergic to pets, the odor of their urine may be causing your allergy as well as their fur. Symptoms of a cat urine allergy can include coughing and wheezing; hives or rash; red, irritated eyes; a runny, itchy or stuffy nose, and sneezing. Beyond allergies, excessive cat urine odor can cause headaches, dizziness, nausea, and respiratory symptoms, among others. Allergens are particles in the air from things that occur naturally. Some are just nature’s way of being, but that doesn’t make them any less irritating to our human sinuses. Think things like pollen, pet dander, dust, and mold. No matter how “green” our day-to-day lives become, these are things that, despite our best efforts, will always find a way into our homes. But just because they’ll always find ways to sneak in doesn’t mean we can’t neutralize them the instant they come indoors. Irritants, slightly worse than allergens, are not necessarily natural. They’re things like fumes and odors that are off-putting and give you headaches. And they can come from anything: chemical cleaners to strongly scented candles or those gross grocery store colognes. And because they come from anything… they can irritate anyone… Even your “normal” friends and relatives without allergies or sensitivities. If you’ve got anything in your home that isn’t 100% natural, honestly, there’s a really high chance it’s got poisons attached to it in some way. 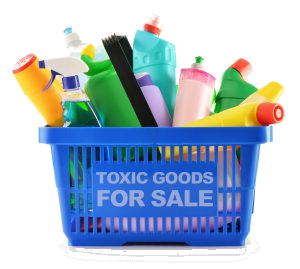 Formaldehyde, perfume ingredients, plastics, paint, stains and finishes, insect killers and repellents… you name it. The FDA, of course, doesn’t allow amounts of poison in any single product that would have an overly adverse effect on the body in and of itself. Imagine Your home: Free of anything that’ll trigger your allergies or MCS. Because when you’re not constantly wiping tears out of your itchy eyes, sniffling into a tissue, coughing, or experiencing a fume-induced headache… life is actually really, really good. With modern medicine and health care, we’re living longer, but no one really wants to add extra years to their life unless those years are enjoyable. We all secretly long for those happy-go-lucky commercial moments in a park on a spring day… playing with children and walking the paved walking trail briskly with your lover. And honestly, there’s no reason why any of us… environmental sensitivities or not… can’t have a life filled with those moments. 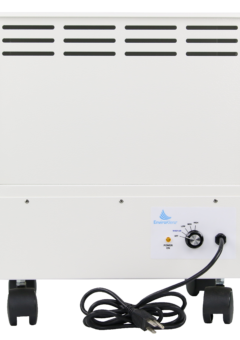 When we smell odors and chemicals in the air the first response is often to focus on treating the air with purifiers, but in most instances finding and treating the source should be what is addressed first. If a source is present and not treated it can continue to off-gas.Even with proper ventilation and air treatment, these compounds will persist. Surfaces such as carpets and rugs can harbor chemicals and odors for a long time. EnviroKlenz source treatment products can attack chemical odors and neutralize them at the source. When you treat the source, air treatment process will, in turn, be more successful. The contents in our homes can be a haven for chemicals and pollutants and are often delayed triggers for environmental illnesses and allergies. As we encounter pollution throughout our day we can bring them home in our clothing and body. They then deposit onto the surfaces and other contents in our home. Leaving them unchecked just adds to the problems that may already exist. 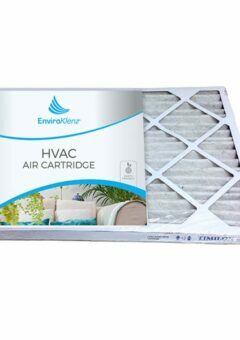 The EnviroKlenz system is designed for treating the air, surfaces, and contents in our homes. Chemicals and fragrances on our clothing can be neutralized by the EnviroKlenz Laundry Enhancer. The product can be used to neutralize the things we encounter or even fragrances from new purchase items such as clothing and linens. When you combine air, source, and content treatments the results will speak for itself.